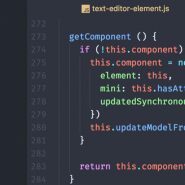 The atom hackable text editor is a far more flexible and useful code editor than say… Dreamweaver. If you would like to add capabilities to your editor there are many high quality packages you can add to the system via the internal package manager. Or you can use the command line to load a particular package directly.